Tour, or Privately Owned Bus? Has Your Child Been Injured on a Public or Private School Bus? If your child has suffered injuries while being transported by a public or privately owned school bus or van, contact our law office immediately. School buses are not equipped with seat belts, which greatly increases the risk of serious, catastrophic, and even fatal injuries in certain types of accidents, including rollover, flip, and other types of crashes in which children are subject to traumatic brain injuries, broken bones, paralysis, and other disabling conditions. In many cases, school districts will scramble to deny any responsibility whatsoever. Our legal team holds all responsible parties accountable, including the driver(s) involved, the bus manufacturer, or other at-fault parties. We will conduct a full investigation to determine exactly what happened and prepare your case for settlement or trial. The small size of children places them at an increased risk of serious injuries in all types of vehicle crashes. Let us help secure the financial compensation that your family will require to pay for medical expenses, pain and suffering, and lifelong care for catastrophic injuries. If you have been injured on a bus owned by a municipal government in West Virginia, specific laws apply to your case. You require the experience of West Virginia’s dedicated bus injury legal team. Angotti & Straface have the knowledge and hands-on experience to successfully sue city, government, commercial, and private entities for the damages that they are liable for covering on your behalf. 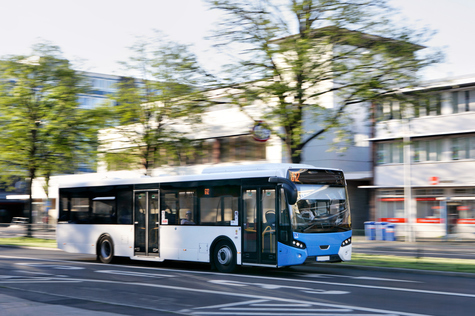 Our team will also seek the full monetary compensation that you are entitled to from the at-fault driver, bus manufacturer, and bus company, as applicable. We will not accept less than you are entitled for by grouping your claim in with others who were injured in the same accident or accepting that your injury was minor without a thorough investigation to determine the actual severity of your injuries (these typically take several weeks to months to become apparent). Beware of any settlement offered by the bus company or insurance carrier. While the amount may seem adequate, it is unlikely to be sufficient. By the time you realize the full extent of the damages and losses that you have and will continue to suffer, it will be too late. Contact us first. Contact Angotti & Straface Attorneys at Law L.C. to schedule your complimentary initial consultation to discuss your case: (304) 292-4381. We represent clients in Morgantown, Huntington, Charleston, Parkersburg, Wheeling, and throughout all of West Virginia.